This week we have been learning the different ways to make an “a” say its name. 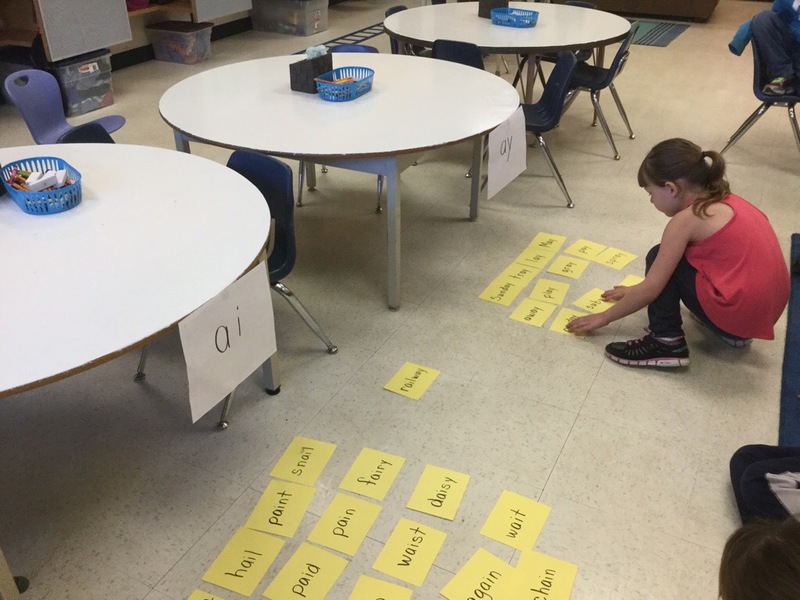 We did a word sort and made lists and drew pictures. 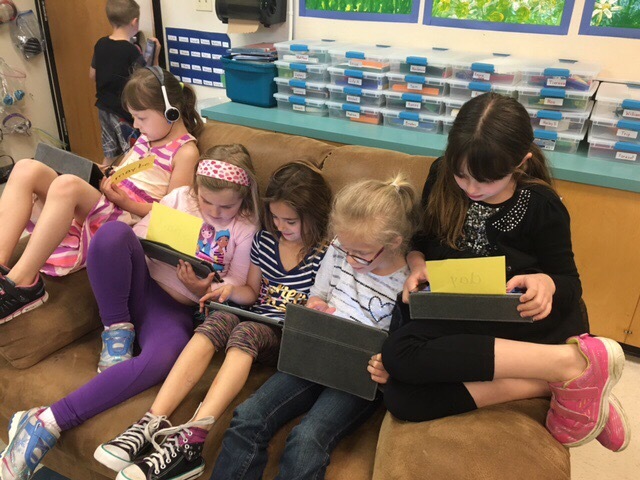 Then, we made videos to show how much we had learned. Check the students’ blogs to see these creations about The A Sound. 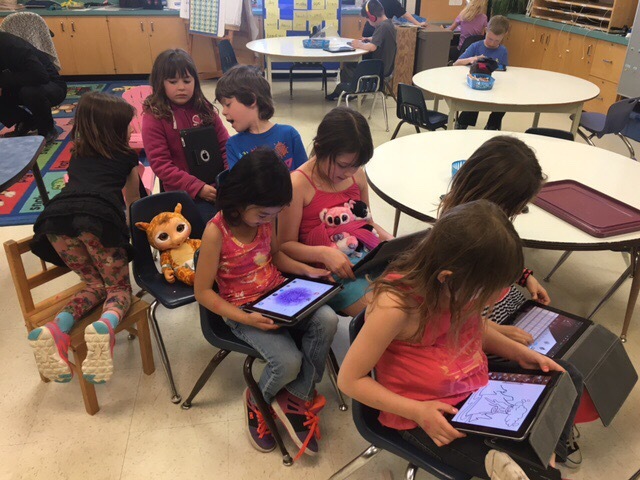 These girls were able to (mostly) work on this project despite being squished together. 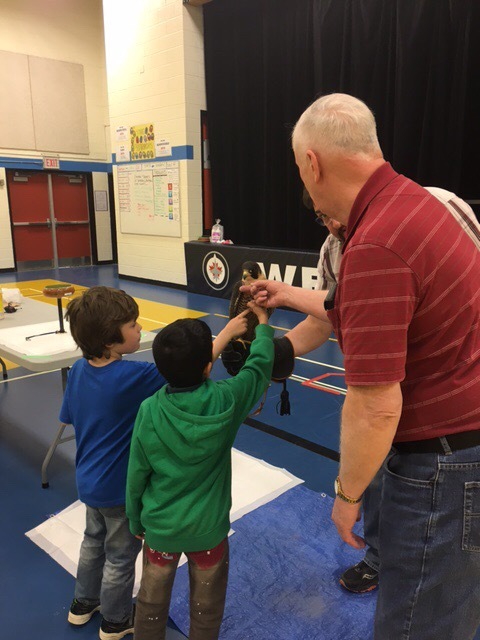 At the literacy evening this week, the students got a chance to see and touch a peregrine falcon, thanks to Larry Going who was good enough to bring his in for us.